Denny Unger of Cloudhead Games is overwhelmed with VR headsets. Can you name them all? Having tracked the emerging consumer VR market for more than three years now, it’s hard to believe how fast it’s taking off. 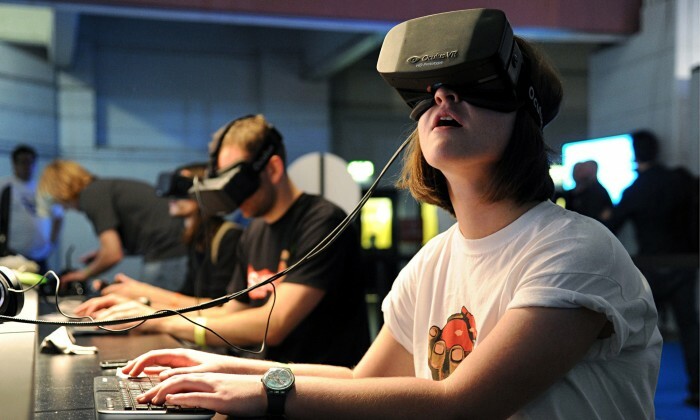 VR is steadily transforming from a promising technology to a disruptive one. And the proof is now plain for anyone to see: some of the biggest tech companies in the world have deemed the water fine and jumped in. It was back in April of 2012, 4 months before Oculus would launch the Rift Kickstarter, that I wrote an article titled Virtual Reality Needs to Take off Before It Gets Grounded in a Niche Market. 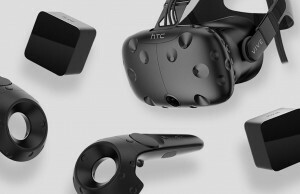 In it, I wrote that “we’re at a fork right now with VR where, depending which way things go, it could take off into the mainstream, or become an expensive enthusiast/niche market.” At the end of 2014, we can safely say which of the two paths it’s on: VR is blasting into orbit. 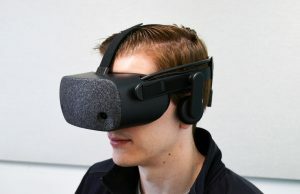 We see more and more enthusiasts jumping onto the VR train each week, and that’s a great thing, but I’m not sure that the recent converts understand how significant it is that massive tech companies like Sony, Facebook, Google, Samsung, Apple, and Microsoft are all buying into the tech. 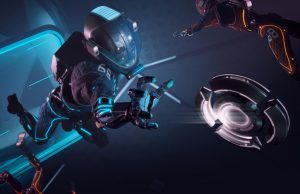 Honestly, even I didn’t feel the gravity of it all—VR’s incredible momentum—until I took a step back and wrote them out in a list. Let me make sure one thing is clear; although the aforementioned companies have massive weight and equally massive contributions to make to the industry, they are by no means the flag bearers. 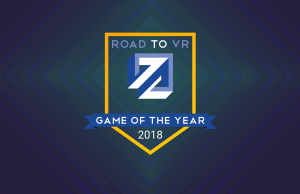 That’s been done by the industry’s incredible grassroots community; initially, largely those willing to put $2.4 million in crowdfunding behind the vision of the Rift’s 20 year old inventor, Palmer Luckey (and a few early execs like Brendan Iribe, Jack McCauley, Michael Antonov, and Nate Mitchell) and steadily expanding into people working on their own games, apps, and products for VR. One of VR’s defining traits is that it started with grassroots support and elbow grease, not a corporate proclamation. 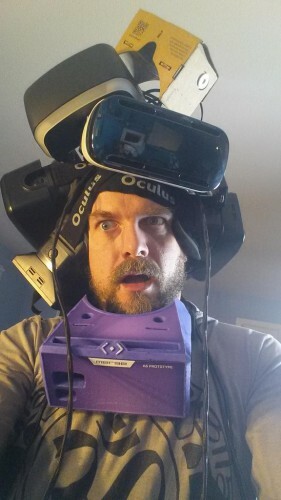 What we need is a VR advocate to really get things going. We need the people making the decisions to realize that everything needed for an interactive VR experience is here today. 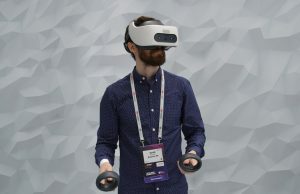 I honestly believe that if you took the top executives responsible for consoles from Microsoft, Sony, and Nintendo, and gave them a compelling VR demo, they would instantly recognize the potential of the technology. Just give them all an HMD with head tracking, have them take a stroll through Dear Esther (2012), and they will be sold on the possibilities. Even after the Rift Kickstarter had succeeded spectacularly, in 2012 I don’t think anyone would have suspected that the roster of companies in this article’s headline would be involved inc such short order. Oculus, as it turned out, started as the advocate, but eventually grew into one of the big guys themselves. Let’s take a look at how these massive tech companies jumped on board, in rough chronological order. Sony was the first of the behemoths to strike. 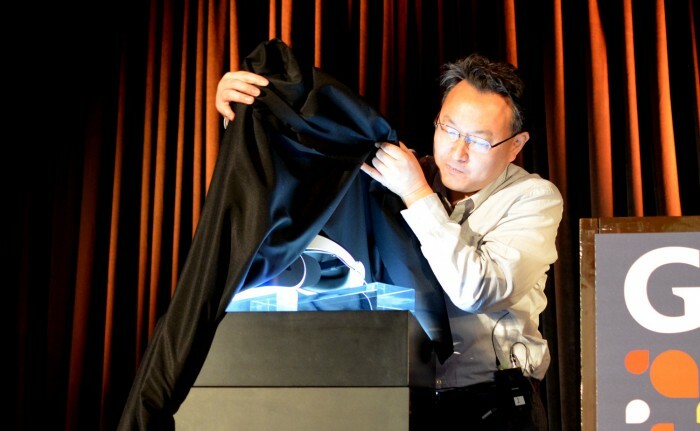 It was at GDC 2014 in March that the company finally revealed Project Morpheus, their VR headset prototype for PS4. Sony’s work on a VR headset had been rumored for months prior to the reveal—we picked up the trail as far back as October, 2013. Rumor after rumor had the headset being revealed at this conference or that, but and it finally happened at GDC 2014 in a packed room of conference attendees. I got in line for Sony’s presentation, mysteriously titled “Driving the Future of Innovation,” an hour early and was still about 50th from the front. We chronicled the reveal live where I took stock of the anticipation: “I will feel bad for Sony if they don’t actually have something VR related to announce… I think I already saw some pitch forks.” That’s when we entered the room and saw something covered in a black sheet. 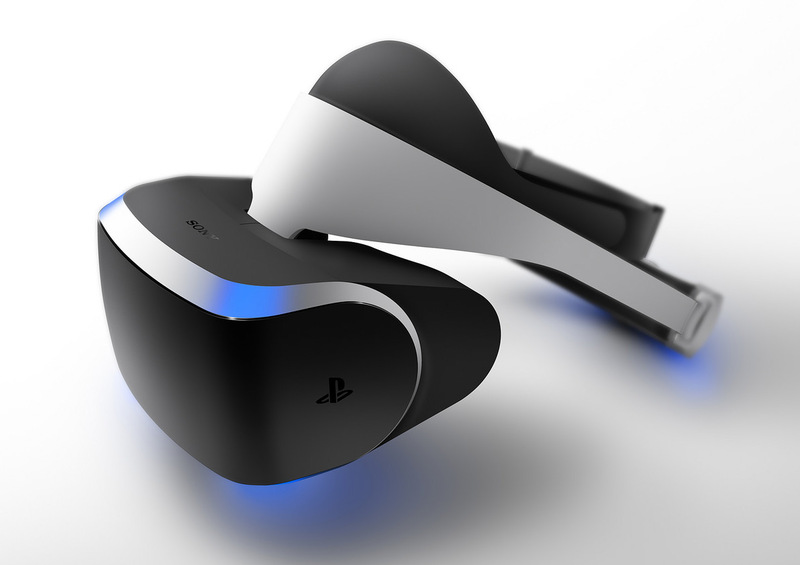 Project Morpheus hasn’t changed at all, at least that Sony has shown publicly, since the prototype reveal at GDC 2014. 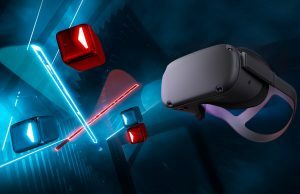 The prototype went out as a development kit which is now in the hands of developers who are creating games and experiences for the headset. Unlike Oculus’ openly available development kit, you can’t get your hands on Morpheus unless you know someone. 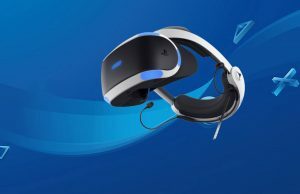 Sony hasn’t announced a price or release date for the VR headset, but they have confirmed that it is fully geared toward the PlayStation 4. The day after Sony revealed Morpheus, Oculus let loose their second development kit, the Rift DK2. The unit made major improvements over the Kickstarter-funded DK1—a 1080p OLED display with low persistence tech and impressive positional tracking. But it wouldn’t be until later in March that they dropped the real bombshell: Facebook had bought the company for $2 billion. 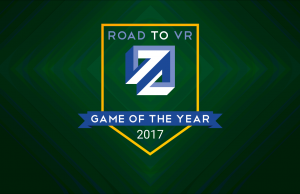 On the same day of the announcement, the Road to VR team quickly assembled to debrief on the Rev VR Podcast. Host “Reverend” Kyle Riesenbeck opened the recording saying “…welcome to what is probably going to be the most controversial Rev VR Podcast episode in existence…” I didn’t recall this until going back to that very episode, but we all offered our blessing to the deal that very night (though not without any concerns). After the initial storm, things quickly settled back to normalcy. 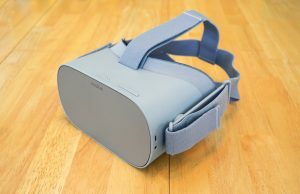 The core of the community seemed to largely grasp how the Facebook acquisition of Oculus could be a good move for the future of VR. In the end it seemed that the majority of those decrying the deal were but a passing mob that quickly left to rail against the next perceived injustice somewhere else on the web. Even Notch recanted his distaste of the deal, saying that he was “officially over being upset about Facebook buying Oculus” in August. From the outside, Facebook seems to have left Oculus almost completely alone. 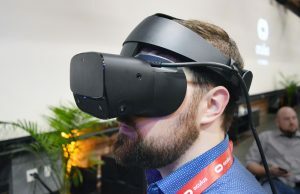 Having raised more than $100 million in funding prior to Facebook’s grab, Oculus was already well established as the preeminent company working on a consumer VR headset—’if it ain’t broke, don’t fix it,’ and all that. 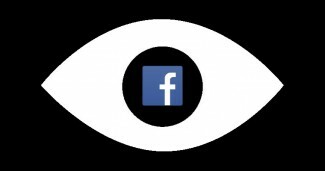 Facebook’s biggest impact on the company so far appears to be augmentation of Oculus’ hiring capability and the resources gained. 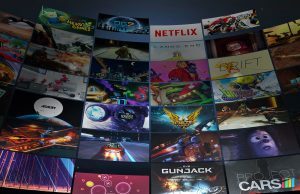 Oculus has also benefited from Facebook’s White Hat program, and surely lots of other small perks that come with being associated with a company that’s worth more than $200 billion. 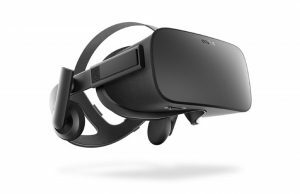 It’s unlikely that Facebook purchased Oculus because they wanted to jump into the computer hardware industry. 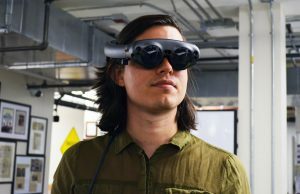 Rather, they’re playing the long game, with an eye on VR as the next big social computing platform after we’re done interacting with keyboards and mice. The search engine giant has taken an interesting approach to the VR space. 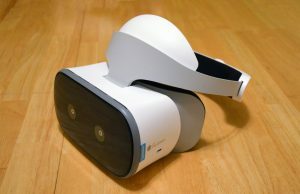 Opposite their premium HMD, Glass, Google introduced ‘Cardboard‘, a low-cost VR smartphone adapter, at the company’s IO 2014 developer conference in June. The ‘device’ is literally a piece of cardboard, two lenses, and a magnet, that folds into a VR smartphone adapter, allowing users to drop in a range of smartphones to achieve an easy, if limited, VR experience. 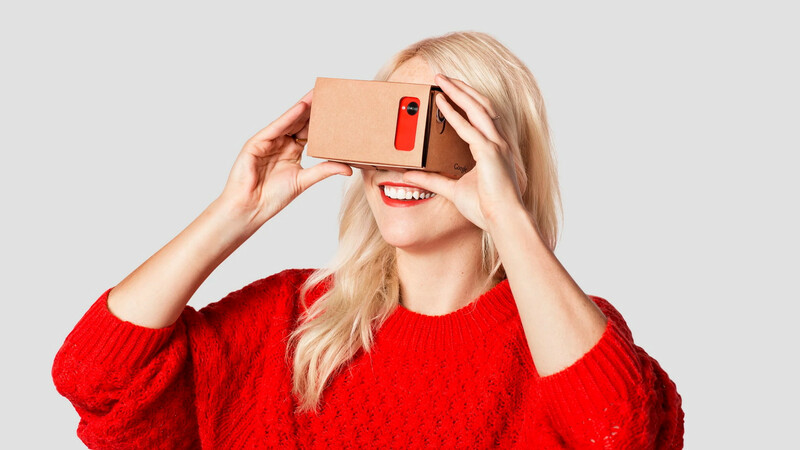 The company initially handed out 10,000 Cardboard kits at IO 2014, though it has never offered them up for sale. 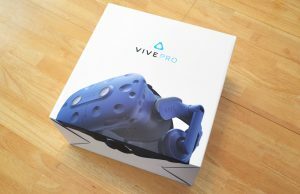 Instead, they made the plans completely open source and have even given their explicit blessing for third-party manufacturers to make and sell Cardboard variations. 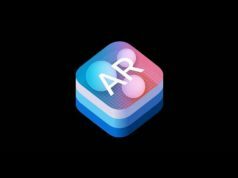 Given this, it’s clear that Google is looking to make a platform play; they want Android to be the smartphone platform for VR, this time turning the tables on Apple, who seven years earlier beat the company out of the gate with the App Store and subsequently dominated that space for several years. It turns out that making an incredibly inexpensive viewer works wonders for distribution. 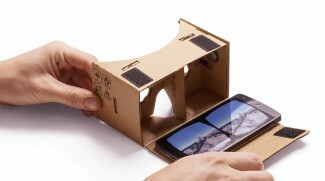 Google recently announced that more than 500,000 Cardboard units have been shipped out by either the company or third-party manufacturers (about five times the number units that Oculus has shipped). 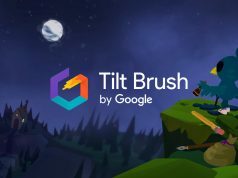 The company also revamped the tools and resources available to developers who want to build VR experiences on Android. And wouldn’t you know it—they even launched a special Cardboard section of the Play Store. What started as a sort of ‘let’s see where this goes’ project has turned into a serious venture for the company who, at the time of writing, is hiring five full time positions for their Cardboard team.